Below, check out responses from Jeff Gothelf, Chris Thelwell, and Andy Budd. You can read the first part of the article here. While design certainly has been recognized as a differentiator of product success (especially with digital products) in many companies today, the investments made in bringing design into the overall strategic conversation have fallen short. Apple, Tesla, Netflix, Nest, Airbnb, and others have shown the C-suite that design sells. That hurdle has been crossed. The piece of that conversation that most executives miss is that bringing in designers to “make it pretty” is an insufficient, superficial gesture. To counter this, designers need to continuously feedback the ROI of their work to their executives. Collect data—real, numeric, objective data—that shows the impact your work has had on the company’s profits, acquisition costs, retention, and sales numbers. Showcase those numbers in language those executives care about: dollars, cents, utilization, stock price, costs, etc. 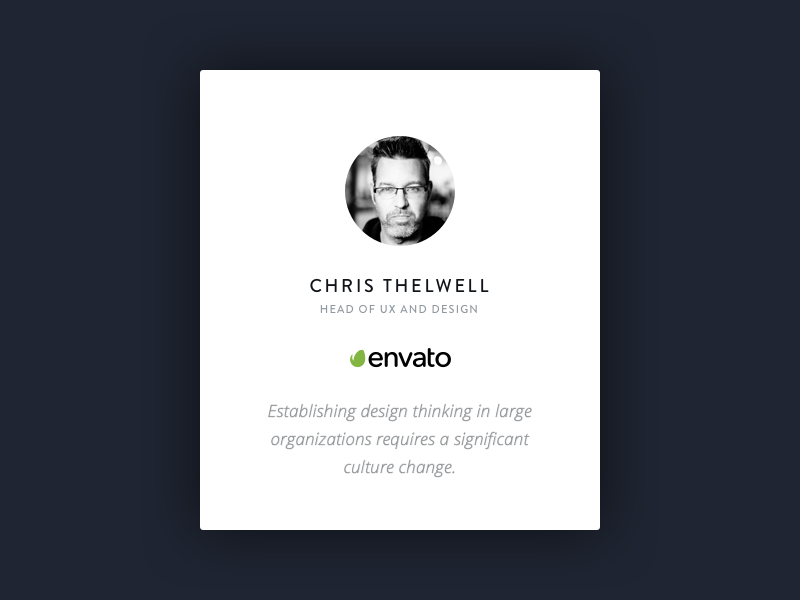 Leave the design-centric language—pixels, task completion rates, time on task, etc.—behind. Speak the language of business. The more we as designers do this, the more we drive home the message that a strategy conversation without design present is incomplete. When you’re dealing with a client, there’s a rule in the design industry: you should under promise and over deliver. Doing that helps you build a great relationship with your client—who rarely understands how the design process works—based on trust and delivery. But what will happen if we over promise and under deliver on design itself? Design thinking is everywhere. The largest companies in the world are investing in design, embedding design leaders at C level. Large enterprises are acquiring design agencies—like Capital One (Adaptive Path) and Facebook (Teehan and Lax). Others are hiring thousands of designers (IBM). This is great news, isn’t it? All eyes are on designers to solve the many problems faced by the largest companies in the world. We need to deliver design at scale. Have we broken our own rule and over-promised? What will happen if we under deliver? People now know they need design. But they don’t quite understand what design is or why they need it. Design thinking confuses things more. It implies a process and a way of thinking, yet people fail to recognize that design is also a craft. 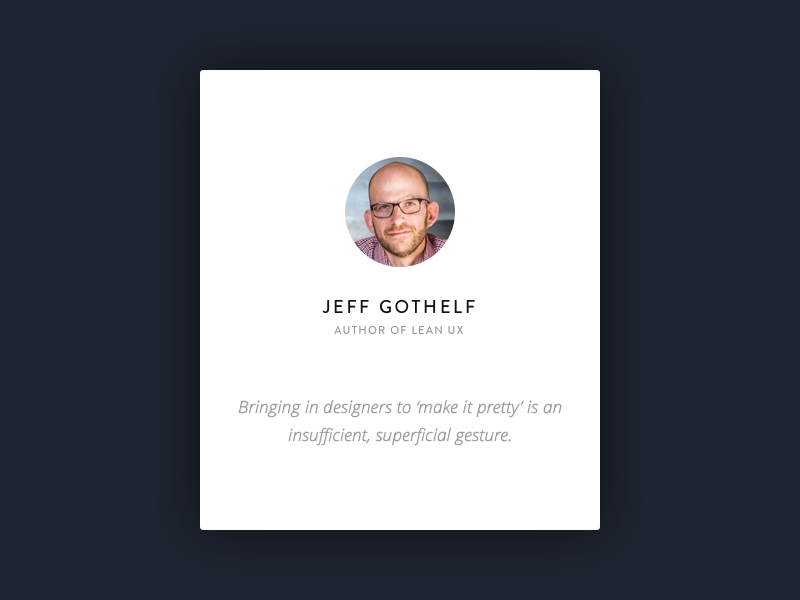 It takes experience, skill, and time to deliver great design. What happens when companies apply design thinking but don’t get immediate results? Establishing design thinking in large organizations requires a significant culture change. That culture change takes a long time. Organizations expect results, yet designers give them learnings. We talk about failure being a good thing. It’s all too easy for the outcome of design thinking to be misunderstood. Delivering design needs designers. Delivering design at scale needs lots of designers. But do we have enough good designers for this new demand? And if not, where are we going to get them? Colleges, courses, and even leading universities are taking advantage of the opportunity. They’re producing more new designers than we’ve ever had. But these new designers, and the ones being hired by the thousand for large organizations, need training. It takes years to master the craft of design, and this training happens after graduation. So, new designers need mentors. 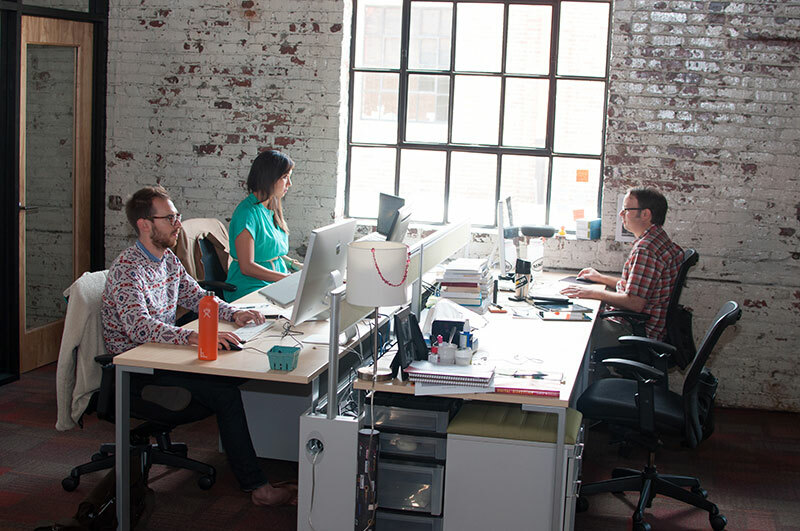 But the experienced designers within the agencies that get acquired often leave. They set up new companies or work for themselves. New designers are also falling for the short-term gain of the startup—the dream of becoming a unicorn designer. Design thinking is the shiny new thing in the business world, just like The Lean Startup and Agile were a few years ago. But once it becomes mainstream, it’ll no longer offer a competitive advantage. So businesses will move on to the next craze. How long do we have until design thinking simply gets replaced? These are big problems to solve. 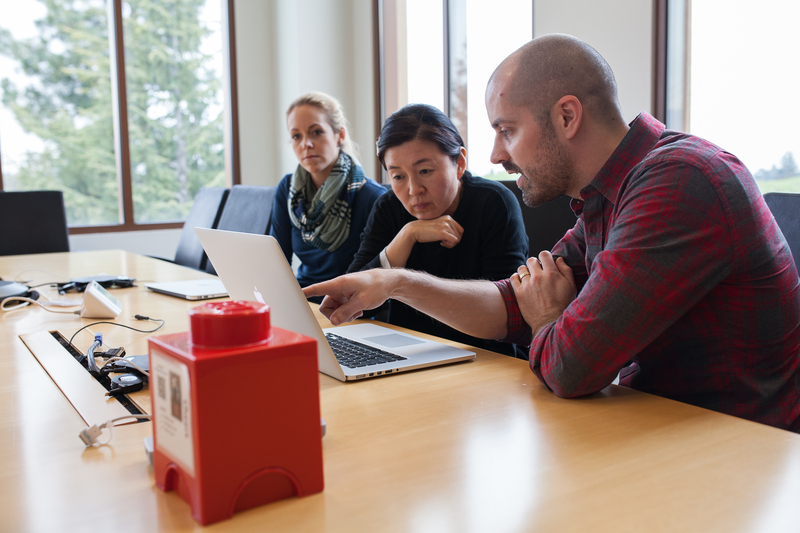 We are designers—solving problems is what we do. But what if we under deliver on the promise design thinking has made? What happens to the thousands of designers—in the large companies—when they aren’t required anymore? What do we do with all the designers we’ve created when the supply of design jobs no longer exists? What’s left of the design industry when agencies no longer exist because their clients have built in-house design teams? You may think we’ve over-promised design thinking, or you may disagree. It doesn’t matter. We will still need to ask these questions. Back in the 1700s, master cabinetmakers and furniture designers like Thomas Chippendale plied their trade across Western Europe, creating bespoke designs for the consumers of the day. This approach to furniture making lasted till the early 19th century, when new materials and industrial production methods left the need for master craftsmen almost redundant. Why go to the expense of commissioning bespoke furniture when you can buy a “designer” chair from Habitat at a fraction of the cost? 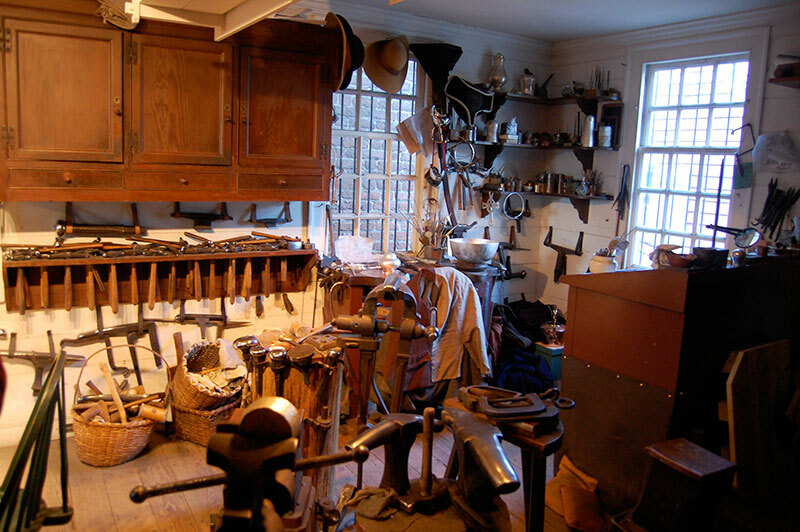 A recreated furniture workshop in Colonial Williamsburg. Industrialization democratized furniture design and put it in the hands of the masses. I believe the same process is happening with graphic design—at an accelerated rate. If you wanted to start a small business, it used to be the case that a local designer would spend a week or 2 crafting a new logo. Today, you can put the brief on a “design competition” website and get hundreds of options for free. Similarly, getting your first web presence used to require the skills of an experienced web designer. 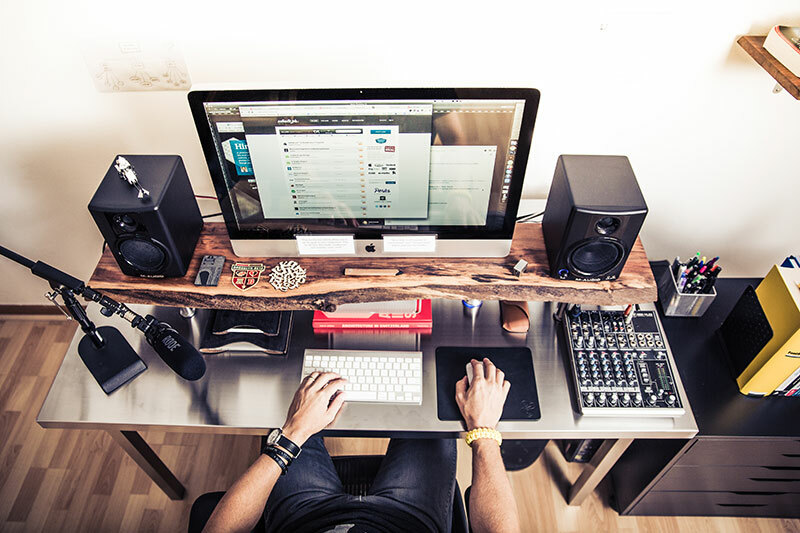 Today it’s easier and cheaper to buy a professionally crafted Shopify or WordPress theme. All these approaches still require the hand of a designer, but if the rhetoric of startups like The Grid are to be believed, this won’t always be the case. The Grid aims to bypass years of training and experience through the use of artificial intelligence. We should look at these claims with a healthy dose of cynicism, though they do hint at an interesting trend. 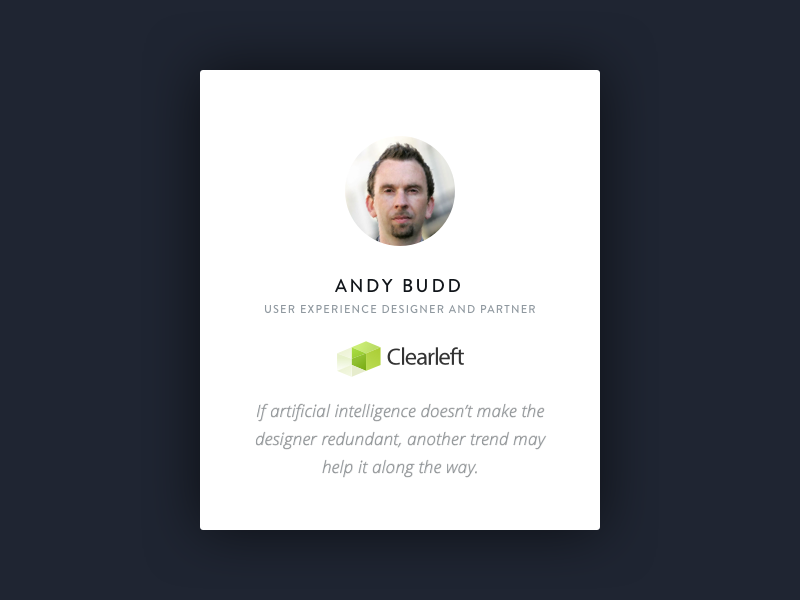 If artificial intelligence doesn’t make the designer redundant, another trend may help it along the way. Large companies like Google, Facebook, and the BBC have developed their own modular design systems, reducing the reliance on UI designers. Instead, more conceptual designers can prototype new interfaces with little traditional design skills—just one of the forces fuelling the inflation of UX design and product design. This approach is useful, but it presumes that the graphical user interface (GUI) will remain the dominant interaction method. I’m not so sure about that. I have a hunch that discursive user interfaces (DUIs) in the form of smart chat-bots, intelligent software agents, and voice-activated servants may significantly reduce our reliance on the humble GUI. If that happens, UI designers may find themselves sitting alongside cabinetmakers in 20 years—a historical craft performed by future generations of hipsters sentimental for a bygone age. Write your own response to the prompt “What’s the biggest issue in the design industry?” on Medium, and submit it to our publication.